Leather Billfolds in Bulk, Personalized with Custom Imprint. Lowest cost in USA and Canada. Special Clearance Sale! Inexpensive wholesale leather billfolds with pockets for 8 cards, personalized with Gold custom imprint. Our bulk personalized leather billfolds are made of Italian top grain calf leather. 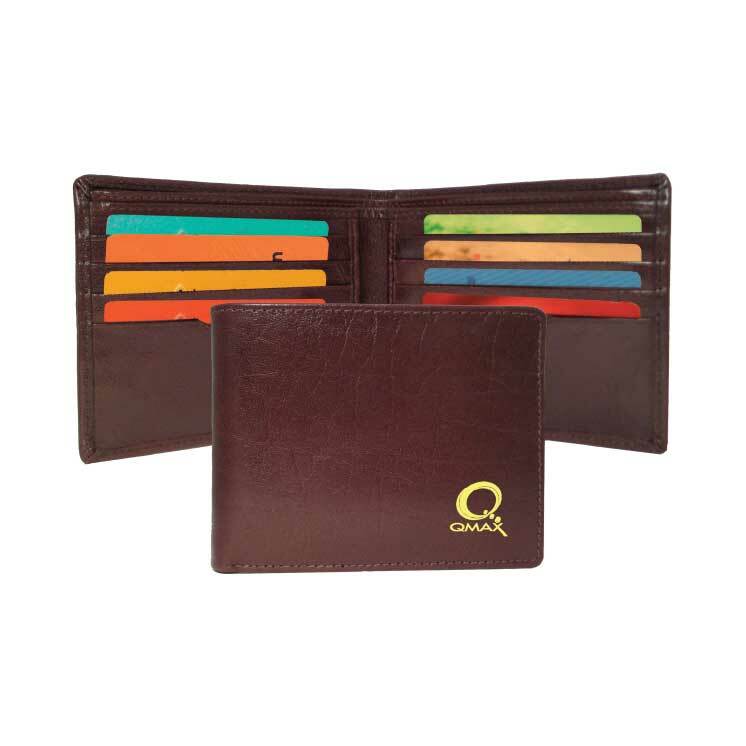 Lowest prices in USA and Canada for promotional leather billfolds. American clients pay no taxes. See other models of Wholesale Personalized Items at the same clear-out prices. Production Time: 7-10 working days after art approval; contact us if you need faster delivery. Material: Italian top grain calf leather from India. Colors: black and dark brown. Gold screen imprint, lower right front.